WASHINGTON COUNTY (WITI) -- A Richfield man accused in the brutal beating of his 13-year-old neighbor. The victim was mowing his parents lawn at the time. FOX6 finds out the reason no charges have been filed yet. 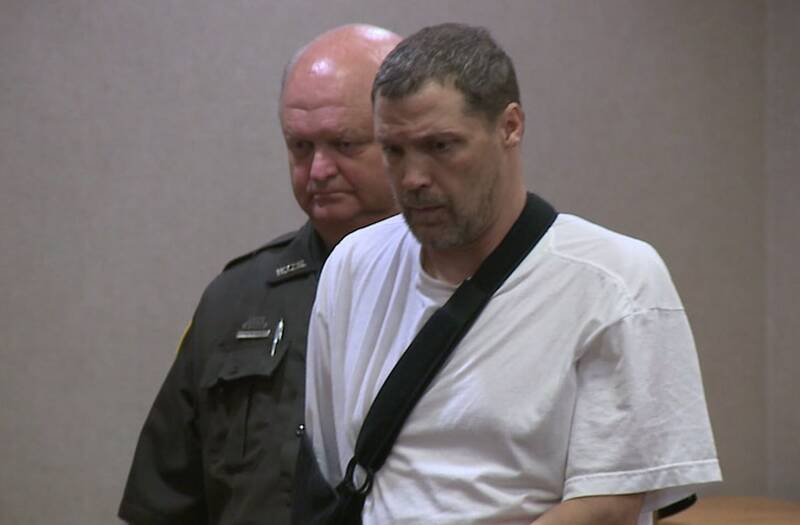 46-year-old Brian Scott Olson entered a Washington County courtroom Monday, August 21st where he was seen with his arm in a sling for his bail bond hearing. Court is going to set cash bond in the amount of $500,000," Judge Andrew Gonring said. One week ago, Olson became the lead suspect in the beating of a 13-year-old Richfield boy. He's a neighbor. During his bail/ bond hearing, Olson's attorney informed the court Olson is on disability. "Mr. Olson's sole income is from disability. I believe he receives approximately $2,000 a month. He does have some mental health concerns," Olson's attorney said. Dale Schmidt, the Washington County Sheriff says this case was bizarre from the beginning. "The 13-year-old was using the family lawn mower and then had these serious injuries to his head and it didn't make sense," Schmidt said. The victim's father found him unresponsive outside the family's home on Wexford Circle, a sub division known for its tranquility. Through their investigation authorities gathered strong evidence Olson was behind the beating. A temporary felony warrant was issued for his arrest. A photo and vehicle description was sent out to the public. On August 16th, an employee at Holy Hill spotted the suspect car in a parking lot and called police. Sheriff Schmidt said Olson resisted arrest and wanted to die. "He wanted deputies to shoot him," Schmidt said. Schmidt said deputies had to use force to arrest him. "They used several tasers on him as he tried to run away," Schmidt said. Since his arrest, Olson has been placed inside the Winnebago Mental Health Institute. Formal charges against him are now pending. "I think it would be a simple criminal complaint given the reports that I've read despite the seriousness of the charges...potential charges which could include potential first degree intentional homicide," Judge Gonring said. Olson's attorney informed the court Monday, August 21st that he has evaluations with a doctor scheduled next week. He will be back in court on August 30th. That's when formal charges are expected.